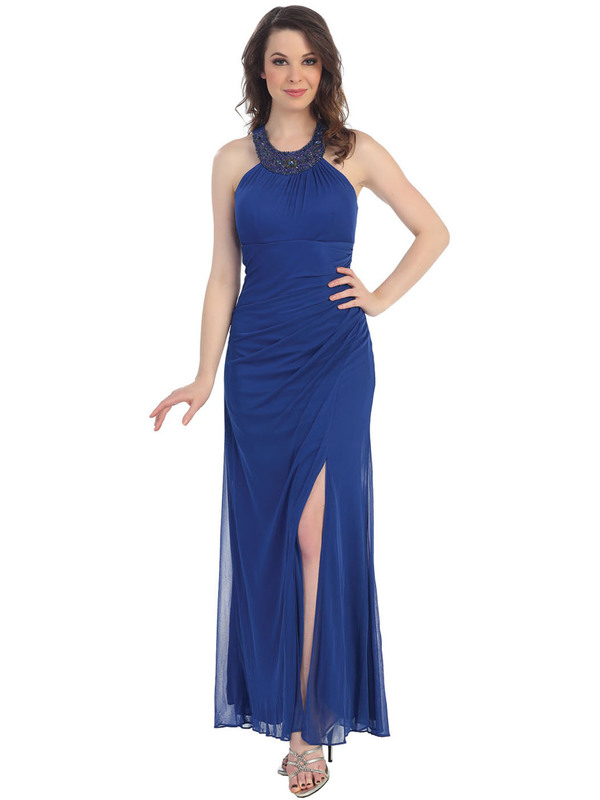 Embellished Halter Neck Evening Dress | Sung Boutique L.A.
An embellished halter neckline anchors the ruched bodice. Ruching extends through the waistline to flatter the figure. Side slit floor length skirt added a sense of elegnant.